Harriet F. Senie is director of the museum studies program and a professor of art history at The City College, New York, and the Graduate Center, City University of New York (CUNY). 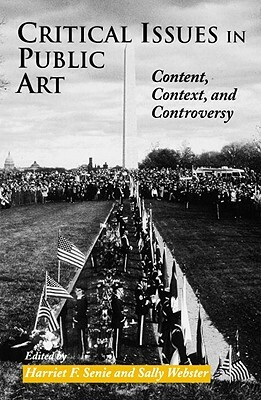 She is the author of Contemporary Public Sculpture: Traditions, Transformation, and Controversy (1992). Sally Webster is professor of art history at Lehman College, The Bronx, and at the Graduate Center, CUNY. She is the author of William Morris Hunt (1991).